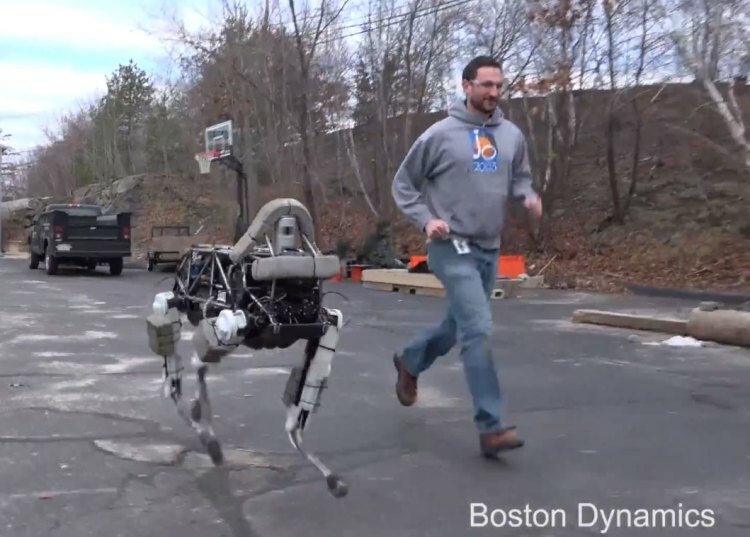 Boston Dynamics is at it again. Their latest robot, named Spot is an improvement over its predecessor. Unlike Wild Cat, Spot is much quieter. It is fascinating to watch Spot navigate both indoors and out. The original K9 and R2D2 remote controlled props were never capable of handling such issues with so much ease. In fact, Spot is able to walk up stairs better than I can.